The Boundary Lodge could be your new Home Office or very comfortable one bed lodge measuring 14.1mtr x 5.8mtr in 150mm oval log. 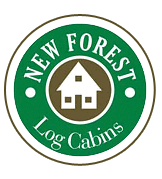 The pricing for Weekend Lodges varies and depends largely on a number of factors such as the log size, how much glass, windows, doors and for the different types of construction such as solid log or Log Panel Homes, however, as a rough rule of thumb, you should budget for approx £395 per m² for rectangular logs and £510 per m²for round log which includes the supply of all materials to meet full UK Building Regulations. Please contact our SALES department for a complete design and build quotation.